Dr. Anthony L. Manning built the large brick storehouse around 1865. A tax record from 1896 states the tax value for the brick store house was reduced because it was damaged by fire. It is presumed the fire took place shortly before 1896, since the tax record listed both the original tax value and the reduction. The storehouse was likely still standing in 1910. As evidenced by the 1922 Sanborn Fire map, the storehouse was gone by 1922. 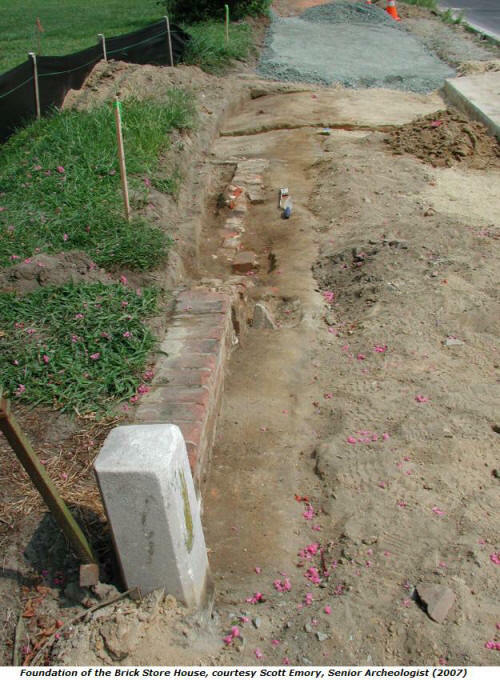 The top of the foundation bricks are still visible at the southeast corner of the property at 34 Main Street. The Brick Store House stood on the larger property that was the site of the Brick Hotel. Two buildings pictured south of the "Temperance House" on the 1877 map below were additional structures on the "Brick Hotel" property. The building at the southeast corner of the 1877 property was identified as a Brick Store House. 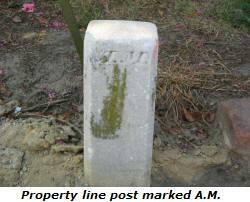 Before 1842 this southernmost property was a separate lot.